Locating and treating tooth decay is one of the most common procedures in cosmetic dentistry. Tooth decay causes a wide range of dental problems, making early detection and treatment incredibly important. However, the two most prevalent detection methods—visual inspection and x-rays—are somewhat limited in their effectiveness. Diagnodent is a revolutionary new method for detecting tooth decay inside teeth. Using lasers and a sophisticated sensor to locate tooth decay in its early stages, dentists are able to provide treatment to problem areas much faster than through x-rays and visual inspections. Watch this video to see Diagnodent in action, and call John Carson DDS for more information at (520) 514-7203. Specializing in cosmetic dentistry, we are one of the most trusted Tucson dentists. We use the latest technology to provide personalized care, from teeth whitening to root canals. 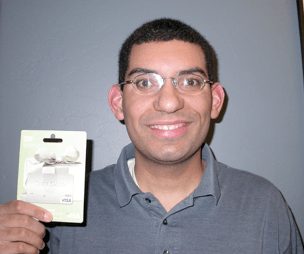 Congratulations Matthew R. our September $100 Winner! 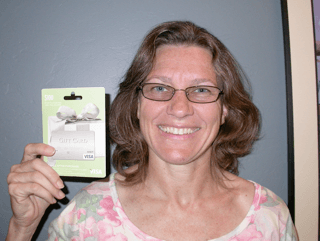 Congratulations Jutta S. our August $100 Winner!